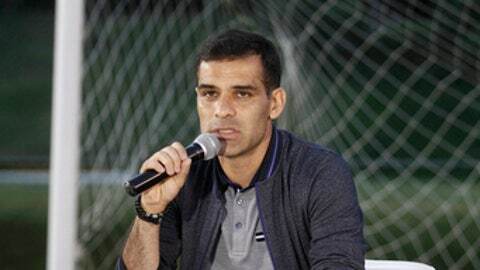 MEXICO CITY (AP) Mexico’s national soccer team and club Atlas issued cautious statements Thursday backing embattled star Rafael Marquez but also apparently distancing themselves somewhat after he was sanctioned by the U.S. government for alleged drug trafficking ties. Marquez did not practice with the club for a second straight day Thursday, a day before its next match. Neither Atlas nor broadcaster TV Azteca, which owns the Guadalajara-based club, responded to requests for clarification about his absence. The U.S. Treasury Department announced sanctions Wednesday against 22 people including the 38-year-old defender who has starred for teams such as Barcelona, Monaco and New York Red Bulls. U.S. officials allege that during two decades Marquez had ties to Raul Flores Hernandez, who faces drug trafficking charges in two U.S. federal courts. He is alleged to have acted as a front man for assets belonging to Flores, who was arrested in Mexico on July 20 and is awaiting extradition to the U.S.
Later Wednesday, Marquez categorically denied having any links to drug trafficking and promised to clear his name. The sanctions, which freeze any assets Marquez has in the United States and prohibit any U.S. citizens or entities from doing business with him, are an administrative process and there are no known criminal charges against him. The Treasury Department identified several businesses tied to Marquez that also fall under the sanctions. During a career spanning more than 20 years, Marquez became one of Mexico’s most famous players and captained the country at the last four World Cups.